Are you working on outdoor images and don’t know what stitches are great to use? You’ll want to add this book to your library. 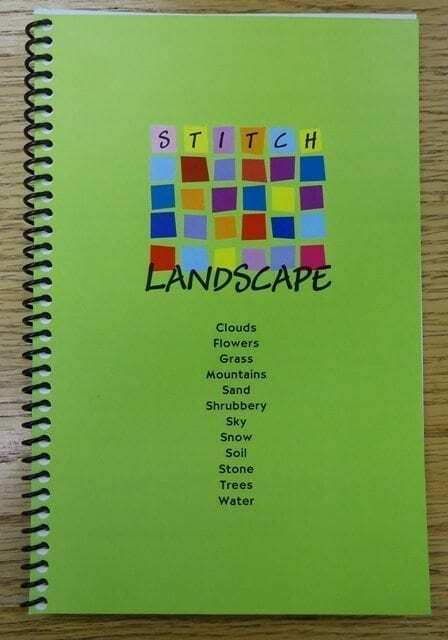 It has multiple ideas and stitches for clouds, flowers, grass, mountains, sand, shrubbery, sky, snow, soil, stone, trees and water. For example, I find flower petals one of the hardest things to stitch. This book has 27 stitches you can try on your flower! 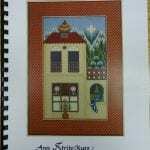 Measuring just 5-1/2 x 8-1/2″, this 75 page book is spiral bound to lie flat and has four to five stitches or ideas per page. The stitches ARE numbered for those of you that like to see the suggested stitch route.